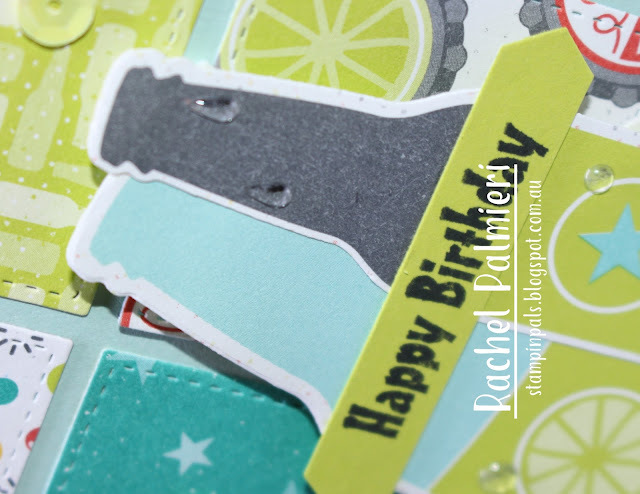 It was fun to put together these two bright cards using SALE-A-Bration products. 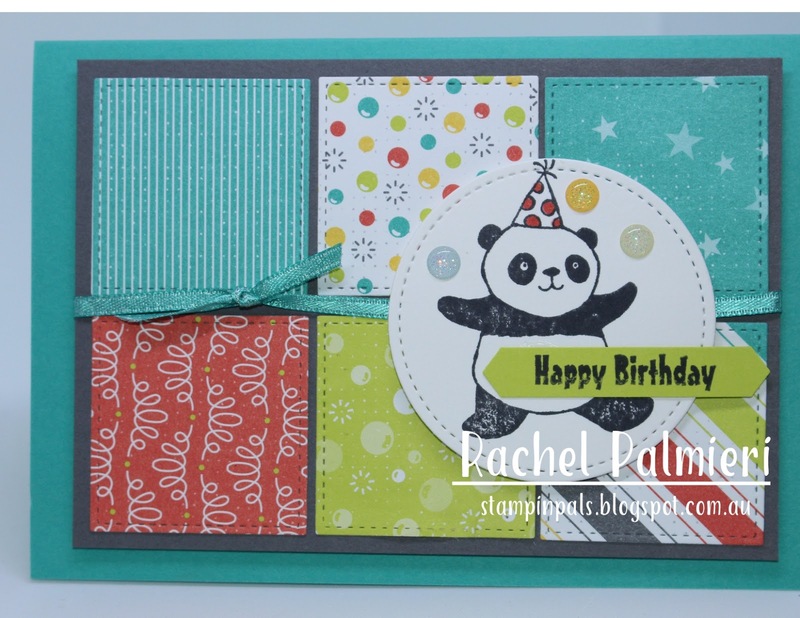 Party Pandas, my first choice SAB pick had to be one and the Bubbles & Fizz DSP was the other. 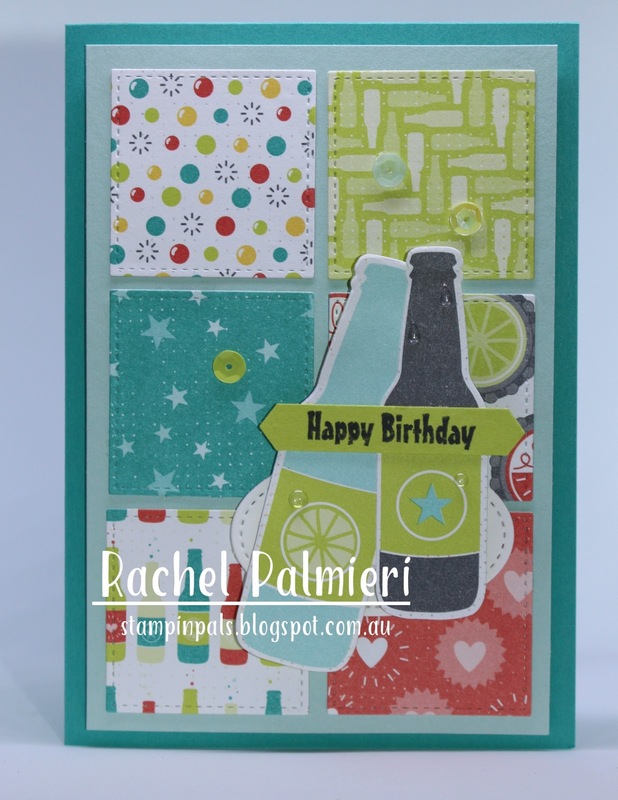 I used the Stitched Shape Framelit dies to cut small squares from the DSP for a bright background. 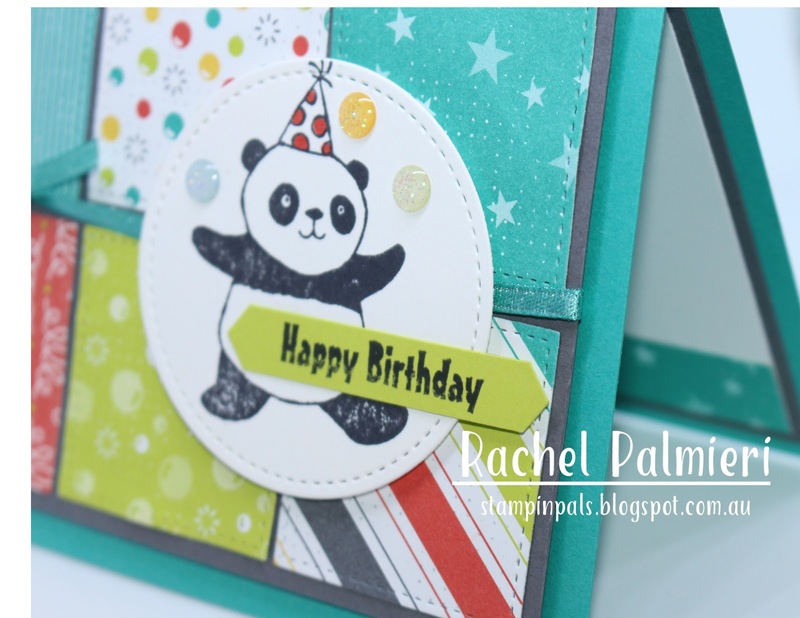 The party hat panda was stamped onto another Stitched Shape, this time a circle. I use these dies ALL the time. 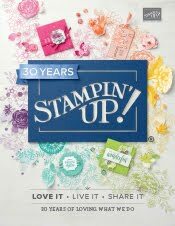 Even the ribbon is a Sale-a-bration bonus pick (there are 3 spools in different colours) The Classic Label Punch always comes in handy for these small sentiments. This card with the bottles uses the dies from the bundle, but not a single stamp! That's because the bottle dies cut out two sizes of images from the SALE-A-Bration DSP , Bubbles & Fizz. Can you see the droplets of water? 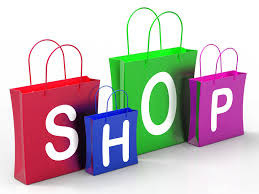 They're in the suite of products which you'll find on pages 32-33 of the Occasions catalogue. I thought the sentiment from Perennial Birthday really suited the card! 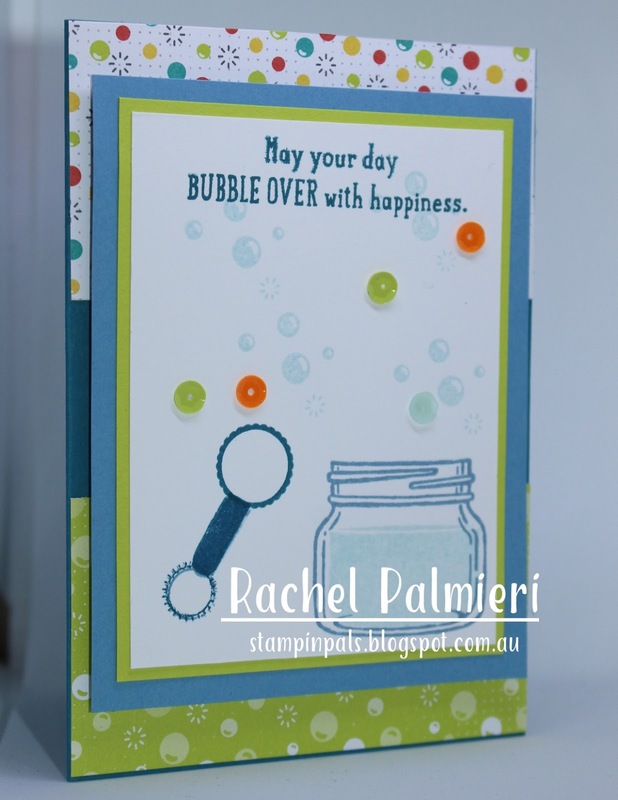 Here's a 3rd card which uses some more of the Bubble & Fizz paper, a jar from Jars Of Love for bubble mixture, an icy pole stick from Cool Treats and the lid of an aqua painter. 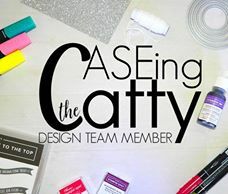 Now you are heading over to see what my talented team member Leanne has made. Oooooo I love your card. The DSP Bubble and Fizz give a blight lift to a card. The bubble and fizz DSP is really bright and cheery. It looks great paired with the party pandas. I really love your projects Rachel...the colours are so vibrant and it's so clever to use the jar of love with the bubbles. 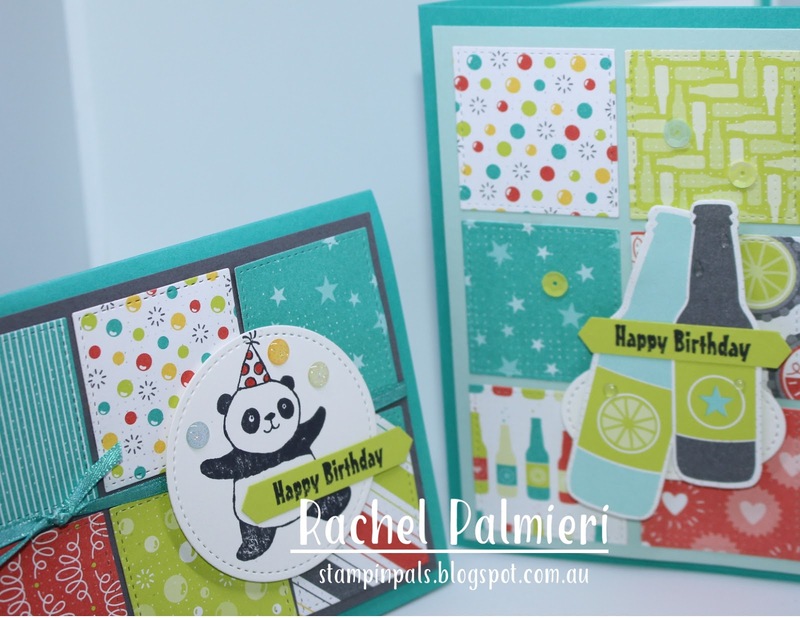 Great use of that lovely bright paper Rachel, with the fun panda and bottles. Your cards are fabulous. 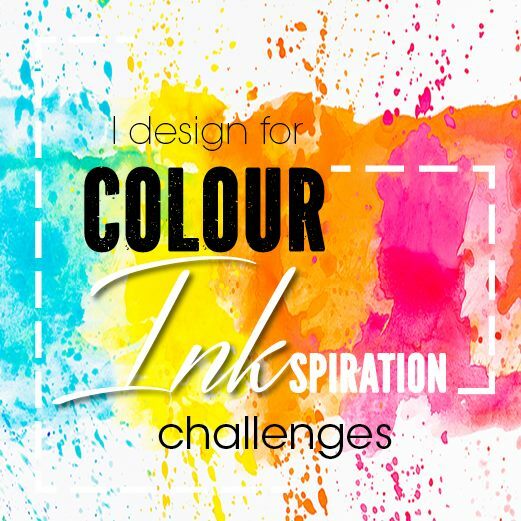 Thanks for playing along in the Art with Heart Team monthly blog hop. What fantastic fun bright cards Rachel, they are just great! 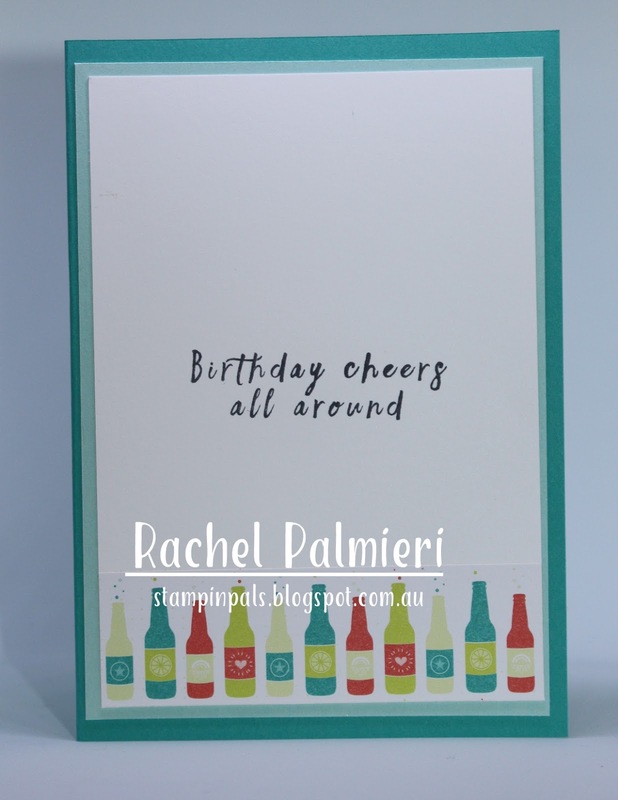 I love your use of the Stitched Shapes framelits, Rachel; great cards! 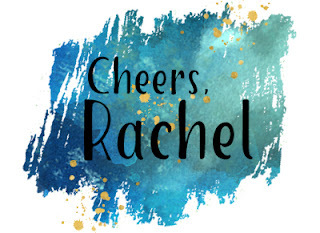 Cute cards, Rachel. Love the bright DSP with the Pandas. 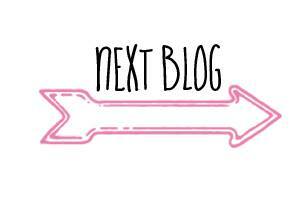 Aren't you the clever clogs? The Stitched Shapes cards are really fun, but the last card takes the cake. Very cute!